Mr. Nick Larson and his wife Roxie of St. Paul own a 1996 Jeep Grand Cherokee, their sole means of transportation, including their four children. The couple brought their vehicle to the local AAMCO center to fix a leak. Upon inspection of the vehicle, it needed a new transmission. After learning the cost of the repair, $1,971.00, Nick was distraught. He financially could not afford the transmission combined with a payment that was needed to keep their house from foreclosure. Nick and Roxie are both school bus drivers, and Nick had been out of work recently due to illness, making finances more challenging. AAMCO of Maplewood at 1905 East County Road D had a solution. After learning of the Larson’s situation, AAMCO Customer Service Manager, Jeff Johnston decided to offer some much needed financial relief to the family. 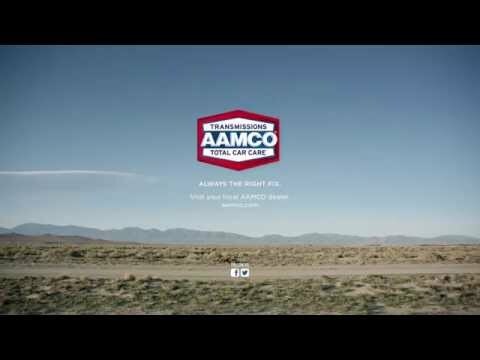 AAMCO covered the cost of a new transmission. The local AAMCO repair team, including Rich Lane and Lyle Smith, provided their time and labor at no charge. “After speaking with Nick Larson and learning of the family’s dire financial situation, I spoke with my repair team and we agreed to provide some much needed assistance, particularly during the holiday season,” said Johnston. Maplewood Tires Plus at 1935 County Road D east joined the effort to assist the local couple. The tire company replaced all four tires of the Larson’s Jeep at no charge. Nick Larson drove his newly repaired Jeep home on December 18.